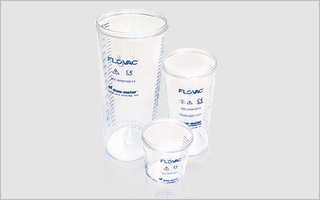 The FLOVAC® LINER consists of a soft bag hermetically welded to a rigid lid. LINERS are available in 3 capacities and they work when inserted in the related PC reusable and autoclavable rigid containers. LINERS can be supplied in different configurations: liner only, liner with prefilled gelling kit, liner with 1.8 m hose, liner with 1.8 m hose and vacuum breaker. 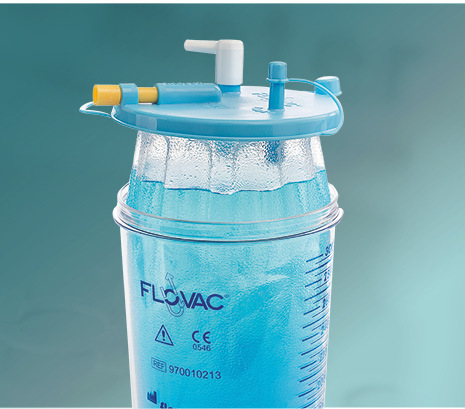 The FLOVAC® LINER has a soft but extremely resistant bag, allowing an easy extension by the operator, highly simplifying the insertion of the same into the supporting jar while assembling the system. This action is definitively important for safety and efficiency of the LINER for suction applications. A regular adherence of the LINER to the inner surface of the supporting jar avoids the mechanical stress on the bag generated by the VACUUM and allows a measurement accuracy on the graduated scale and a correct intervention of the overflow system. 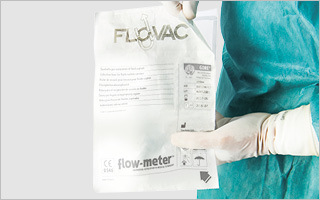 The FLOVAC® LINER has a soft but extremely resistant bag. The supporting jars have a conical shape to get small size packaging, to save transport costs and space during the storage. To avoid jars getting stuck or unexpected inner scraping, four ribs inside the bottom area stop properly the jar position when one inside the other. 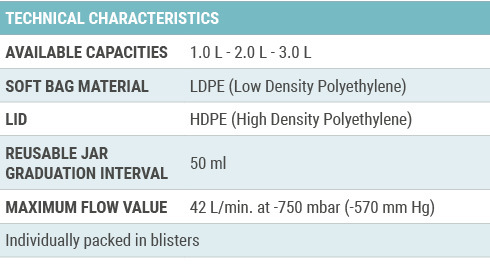 A graduated scale printed on the supporting reusable jar allows an easy monitoring of the volume of the suctioned fluid. 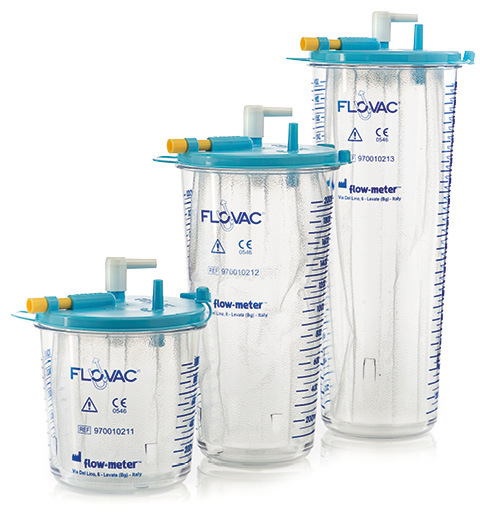 The FLOVAC® LINER is individually packed in a blister giving all the indications of size, lot number, expiry date and production date. 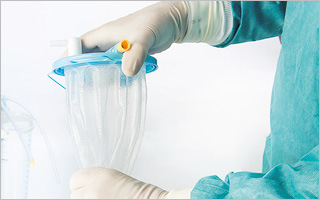 The individual packaging, besides providing protection and hygiene of the single device until its opening and use, also gives evidence of an intact and perfectly preserved product and facilitates the distribution of the individual units in the different hospital departments.